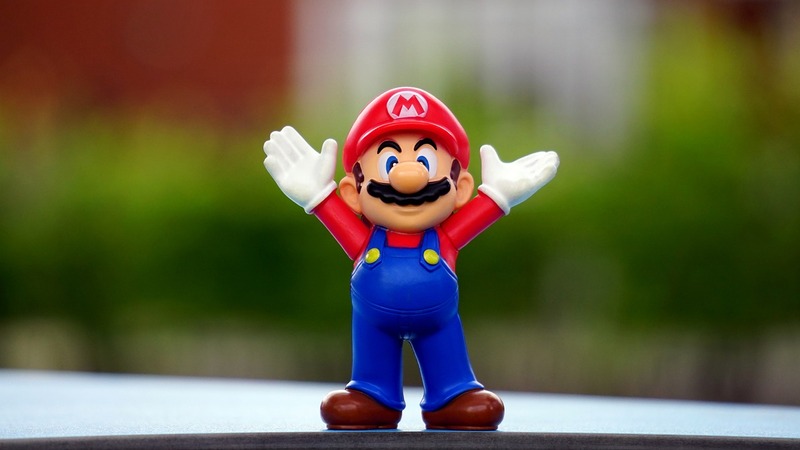 Today we’re going all the way back to 1985 to take a lesson from the most iconic video game in history – Nintendo’s original Super Mario Bros.
We just finished examining how to build a savings goal ladder rung-by-rung which will enable you to reach the finer things in life. But before you can put this ladder to use, you need to know a few tips and tricks regarding how to manage the impact of Mint savings goals on your monthly budget. If budgeting in Mint was a video game, think of this article as your guide to beating the savings goal level. By the end, you’ll be capable of using Mint savings goals to power up your finances just like Mario powers up with Super Mushrooms. Growing up, my two siblings and I never owned a console-based gaming system. Alas, the dream of our own Nintendo, Game Boy, PlayStation, Nintendo 64, GameCube, Xbox, or Wii never materialized. However, our paternal grandparents owned a first-generation Nintendo. Family gatherings at Grandma & Grandpa’s over the holidays provided an opportunity to get our gaming on. I still remember looking forward with great anticipation to these gatherings as a young child. Tasty treats, a chance to roughhouse with cousins, and time on the Nintendo all made for a grand time. The game we spent the most time playing was Super Mario Bros., now considered one of the most popular titles in the history of gaming. The sound of Mario powering up takes me right back to my memories of playing Nintendo as a boy. 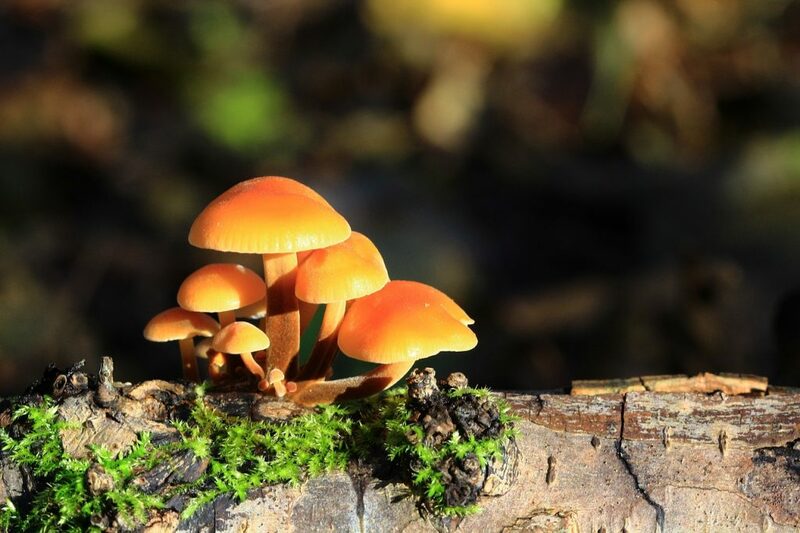 Savings goals can boost your abilities like Super Mushrooms can Mario’s. Each time you complete a savings goal, your financial position becomes that much more powerful. And with each savings goal completed, you become financially capable of new things. 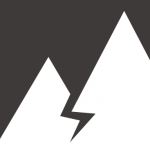 In the last article, we reviewed how to prioritize and create savings goals in Mint. But before you can power up your finances with Mint savings goals, you need to reconcile their impact on your monthly budget. This article will help you do that by serving as your strategy guide to mastering Mint savings goals. By now you should have already created a full roster of Mint savings goals, listed in your desired order of priority. 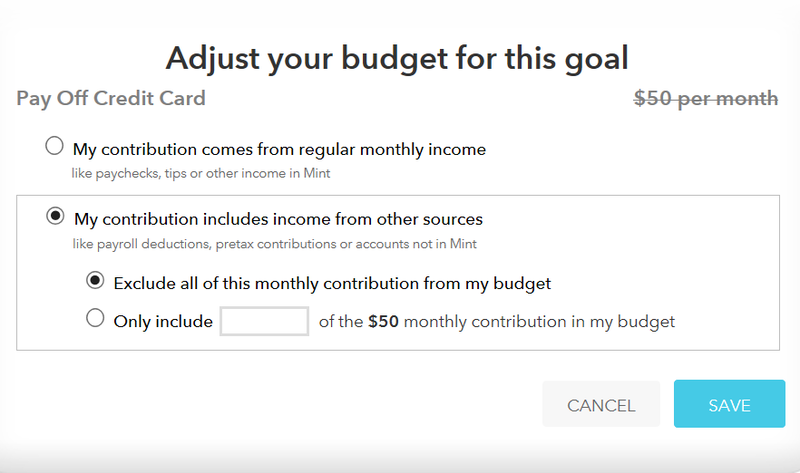 While you created these goals using Mint’s Goals page, they should now be visible on the Budgets page as well. 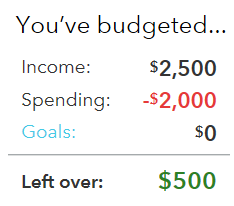 For example, Mint’s Budget Scoreboard listed in the upper right of the Budgets page will now include a new line titled “Goals” representing the total of your monthly savings goal contributions. 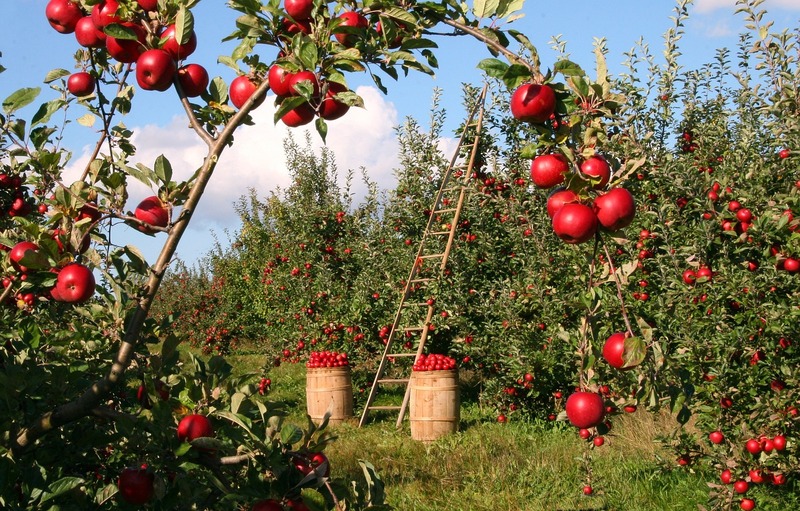 Savings goal contributions of $50 and Mint’s suggestions for using a $450 budget surplus. Summary of Mint savings goals and contribution amounts listed at the bottom of the Budgets page. Remember, at this point your monthly contribution to all Mint savings goals should be set to $0, other than goals linked to paying down debt. Your contribution amount for those goals should be set to your required minimum monthly payment for each loan. You can find the required minimum payment for each loan by consulting the related budget category you’ve already created or Mint Bills. The sum of your monthly savings goal contributions is listed by default on the Mint Budget Scoreboard under the “Goals” line. This amount reduces your “Left Over” total which represents the unallocated net profit of your monthly budget. Your monthly net profit calculation as listed on the Mint Budget Scoreboard is an important one. In the very next article, you will rely on it to make some very important budgeting decisions. It’s therefore critical to ensure that your goal contributions are correctly factored into the scoreboard. Some types of Mint savings goals can make your monthly net profit calculation incorrect if not configured properly. We’ll examine three such scenarios below, after which we’ll review a solution for each. Savings made via payroll deductions to accounts such as 401k’s, IRA’s, HSA’s, or FSA’s can pose issues for your Mint Budget Scoreboard. Your contributions to such accounts via payroll deduction take place upstream of your take-home pay. This can result in an incorrect monthly net profit calculation, since your Mint budget for income is usually based on take-home pay. Mint Budget Scoreboard correctly listing a $500 budget surplus. Now let’s say that you decide to begin saving for retirement by deferring $500/month via payroll deduction to your employer-provided 401k. Accordingly, you reduce your paycheck budget in Mint to reflect expected take-home pay of $2,000 instead of $2,500. You then update your retirement savings goal to indicate a $500/month contribution. Mint Budget Scoreboard incorrectly listing a $500 budget deficit. Debt reduction savings goals also have the potential to make your monthly net profit calculation inaccurate if not configured properly. If you have debt, you should have already created budgets in Mint representing the required minimum monthly payment for each of your loans. These payments constitute bill payments and are a non-negotiable aspect of your monthly spending. But in order to obtain the correct projected completion date of your related debt reduction savings goals, you must also enter your required minimum monthly payments in your savings goal details. This situation results in your minimum monthly payments for each loan being counted twice on the Mint Budget Scoreboard – once as budgeted spending, and again as goal spending. The same issue outlined above can also extend to extra payments made on a loan. Let’s say you have a monthly budget in Mint representing your monthly mortgage payment. After reading about the compound interest double agent and the hidden opportunity cost of debt, you decide to use your monthly net profit to begin making an extra payment every month. In order to ensure the projected loan payoff date for your “Pay Off Mortgage” savings goal is correct, you update your monthly contribution amount to reflect the extra payment you’re now making. But if you begin making extra mortgage payments without making any adjustments to your original mortgage budget, you will receive “Exceeded Budget” warnings and emails from Mint after your extra payment posts. This is unhelpful and somewhat counter-intuitive. You can avoid this by increasing your budget for the loan on which you are making extra payments to include the monthly sum of your required minimum payment and any planned extra payments. However, doing so results in your loans counting twice against your monthly net profit as listed on the Mint Budget Scoreboard – once as budgeted spending, and again as goal spending. We’ve taken a look above at some ways that your budgeted contributions to Mint savings goals can throw off your all-important monthly net profit calculation. So what can you do to avoid this? Edit the budget impact of a given goal by hovering over it in the summary at the bottom of the Budgets page. This menu selection is the default and will include all of your goal contribution in your budget. 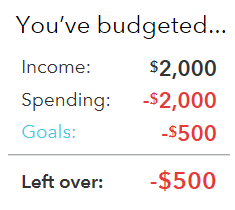 The selection pictured above is the default for each savings goal. This setting will include your monthly contribution in the “Goals” line on the Budget Scoreboard, reducing your monthly net profit calculation. This menu selection will enable you to exclude all or a portion of your contribution from your budget. Savings goal contribution amounts excluded from your budget will be stricken through. Excluding all or a portion of your savings goal contributions from your budget can help solve some of the issues posed by savings goals. But alternative solutions exist as well. Let’s review potential solutions for the three primary issue types below. The first solution for the issue posed by savings made via payroll deduction is to keep your Paycheck budget set to reflect your income prior to these deductions and not exclude any of your related savings goal contribution amount from the Budget Scoreboard. This will properly list your income and amount saved towards goals on the scoreboard. However, this approach will require you to monitor and categorize additional Mint transactions. For example,you will need to identify and categorize payroll deduction contributions made to accounts other than checking as “paycheck” transactions in Mint. This may require additional time and overhead, which you may be able to mitigate somewhat by the use of transaction rules. Alternatively, you could exclude savings goal contributions made via payroll deductions, then lower your Paycheck budget to represent your take-home pay only. While simpler, this approach will under-report your true income and amount saved towards your goals on the Budget Scoreboard. This solution is simple and straightforward. Excluding from your budget the minimum payment portion of each savings goal linked to a loan will properly balance the Budget Scoreboard. It will also ensure that your reported “Spending” consists only of required spending. You can handle extra loan payments within Mint in one of two ways. Leaving the budgets representing your loans set at the minimum payment amount and excluding the minimum payment portion of your contributions to related savings goals will properly represent your Spending and Goals on the Mint Budget Scoreboard. However, you will receive “Exceeded Budget” warnings and emails from Mint after your extra payments post. This is unhelpful and somewhat counter-intuitive. To avoid this, you can increase your budget for the loan on which you are making extra payments to include your total monthly payment, then exclude all of your savings goal contribution amount. This will avoid the appearance of being over budget, but will over-report your required Spending and under-report your Goal contributions on the Budget Scoreboard. That’s it! You’re now fully equipped with the tips, tricks, and insider information for properly handling the budget implications of your Mint savings goals. You should now have all the information you need to keep your monthly net profit calculation accurate on the Mint Budget Scoreboard. 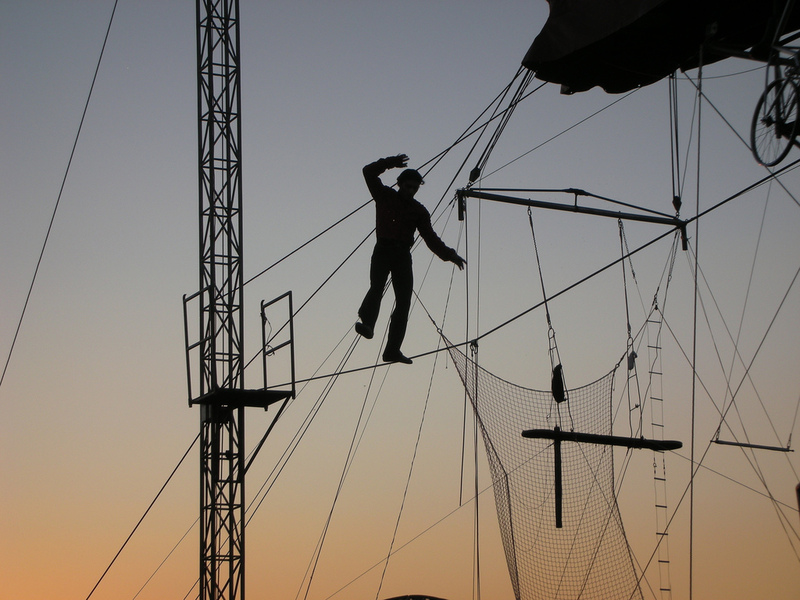 This is critical for sake of the high stakes balancing act you’ll be performing in the very next article. Follow the action items listed below to find out how soon you can begin powering up your finances by completing your highest priority savings goal. Exclude all of your monthly contributions to debt reduction savings goals from your budget. Use the second selection listed in the “Edit Details” menu on the Mint Budgets page. Verify that your listed “Goals” spending on the Mint Budget Scoreboard is $0. Edit your highest priority savings goal on the Goals page and link it to its related bank account(s). Assign all of your monthly net profit to the monthly contribution amount. Determine your monthly net profit by consulting the Mint Budgets Scoreboard located on the Mint Budgets page or the value listed beneath the monthly contribution field in savings goal setup. If your highest priority savings goal is linked to a loan, add your monthly net profit to the existing minimum payment figure and enter the total in the contribution amount field. Adjust the planned completion date for your savings goal to the projected date. If your highest priority savings goal is linked to a loan, revisit the Mint Budgets page and use the “Edit Details” menu to exclude only the minimum payment portion of your monthly contribution from your budget. Verify that your Budget Scoreboard lists a “Left Over” amount of $0. Do not change any of your existing budgets for income, bills, or non-discretionary spending as discussed in the alternative solutions as of yet. Your current budget amounts will play an important role for you in the next article, after which you can configure your Budget Scoreboard as desired. If you allocate all of your monthly net profit to your highest priority savings goal, how quickly can you achieve it? Share in the comments!